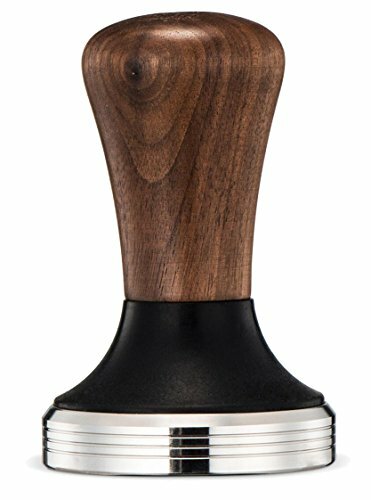 ERGONOMIC HANDLE: Designed with quality, function, and convenience in mind, our Tamper is manufactured with an ergonomic and smooth solid wood handle for a comfortable and sturdy grip – still provides stable handling to make your perfect coffee drink. 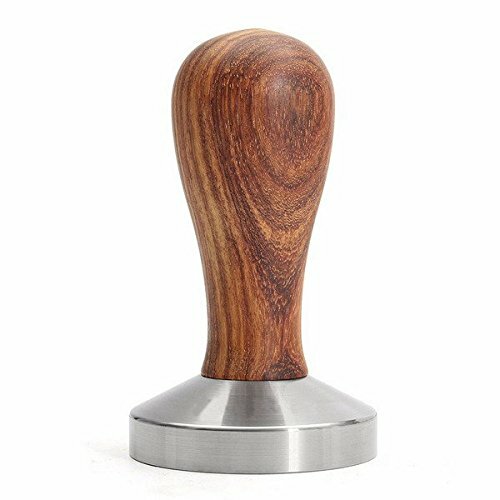 58MM ESPRESSO AND COFFEE TAMPER: 58 mm diameter, suitable for most filter baskets. 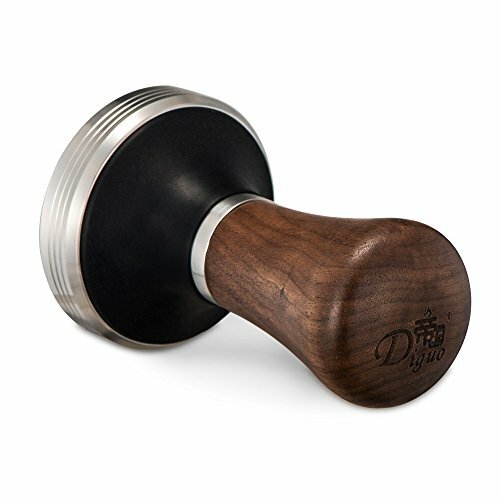 And Espresso Tamper is a premium product with a flat stainless steel base, and ergonomic wood handle. 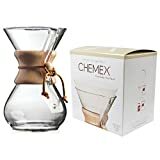 Perfect for quality coffees, each and every time. premium Stainless steel flat base to keep food safe, pressure well-distributed and labor-saving. 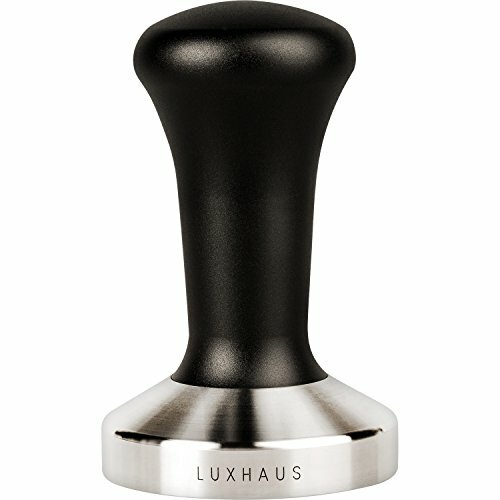 An object of envy gorgeous tamper with a color tone of silver, black and brown. 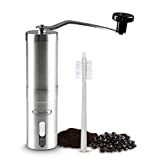 Dual height adjustable, 18/8 stainless steel with smooth solid wood handle . Weight: 254g, Height: 93mm / 88mm and Diameter 58+/- 0.3mm. 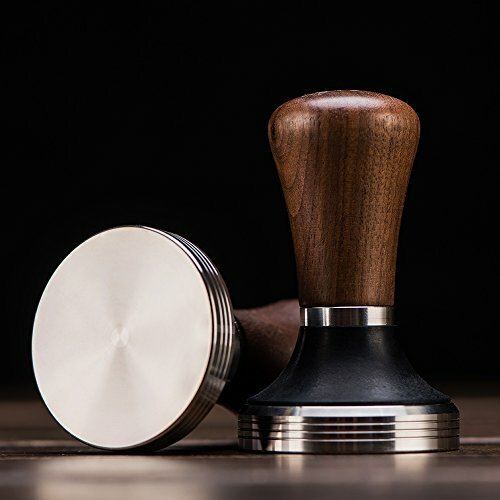 Espresso Tamping is the act of compressing the coffee grounds into a “puck” of coffee prior to extraction. It is often neglected in espresso preparation. In order to get flavorful and excellent cup of Joe, you should strive to create a hard and evenly compressed puck. 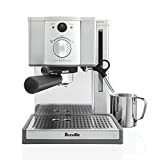 With this, the hot water from the espresso machine will penetrate the puck evenly, hence resulting an evenly and flavorful extraction. 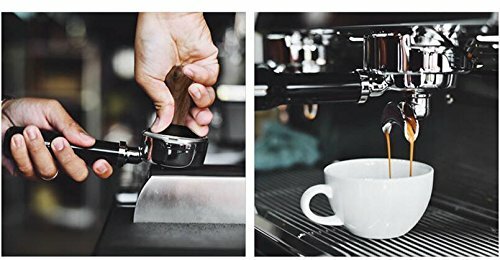 In order master the art and getting a reproducible result, you should apply a consistent tamping pressure while preparing for flavorful espresso every time. Tamping with cheaper plastic tamper that comes with your commercial espresso machine is definitely not helping. A good tamper will definitely accelerate your journey towards a perfect puck. 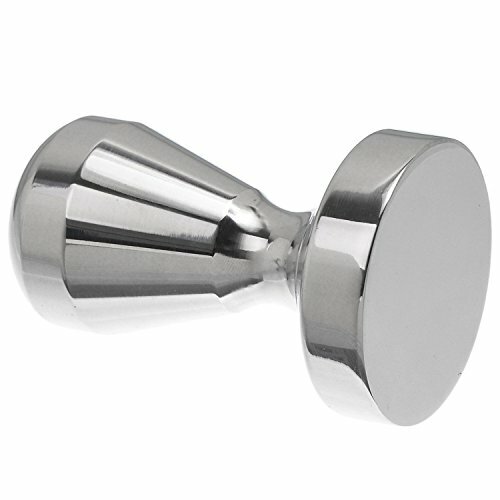 DUAL HEIGHT: This tamper is dual height adjustable, making it suitable for most people. 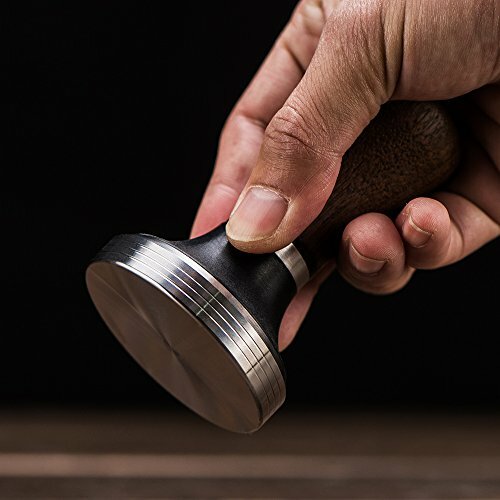 A well-crafted tamper will allow you to rest your fingers on the tamper for added stability. With that you will get an evenly compressed puck. PACKAGE: A wonderful tamper. Weight: 254g, Height: 93mm / 88mm and Diameter 58+/- 0.3mm.